Hubermed Sign Exclusive Canadian Distribution Agreement with TePe Oral Health Care Inc.
Hubermed Signs Exclusive Canadian Distribution Agreement with TePe Oral Health Care Inc.
NEWS RELEASE TRANSMITTED FROM: HUBERMED INC.
MONTREAL, QUEBEC - (May 10, 2014) – Hubermed inc, focused on , commercializing innovative solutions for the dental professionals and their patients, announced today that they have entered into a licensing and distribution agreement under which Hubermed (TePeCanada.com) has been granted exclusive Canadian rights from TePe Oral Health Care Inc (TePe) to market and sell TePe products. The TePe products include all dental products targeted to consumers, dental and medical practices, dental and medical institutions, hygiene centers and public health facilities. 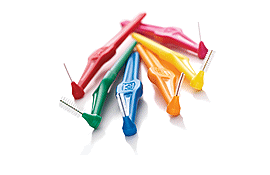 The TePe products, incorporates significant innovative improvements and advantages over other interdental brushes. "We are excited to add a further treatment option for Canadian patients and their dental professional," said Rudy Huber, President and Chief Executive Officer of Hubermed Inc. "These products marketed under TePeCanada.com complement our dynamic and growing portfolio of dental solutions." Founded in 1965 in cooperation with the School of Dentistry in Malmo, Sweden, TePe products are known for professional-grade quality, innovative design and optimal performance based upon dentistry’s latest research, clinical findings and continuous collaboration with the professional dental community. 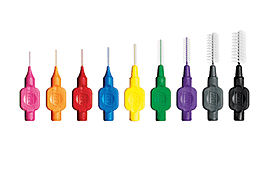 These highly-innovative TePe Interdental brushes, together with our toothbrushes, and specialty brushes are used daily by consumers and dental professionals in more than 50 countries. All design, development and production takes place at TePe's state-of-the art facilities in Sweden. And because sales are direct to the consumer, TePe offers excellent quality at an exceptional price. TePe has a mission: We care for healthy smiles. We are proud to say that our products contribute to better oral health, improving quality of life for people all over the world. Hubermed is a company dedicated to the sourcing and distribution of innovative and effective product solutions in the healthcare field. With over 25 years in this industry, the management of Hubermed brings with it a reputation and history for providing quality products, to enrich the health and wellness of every Canadian every day.